Worldfocus intern Jamie Macfarlane writes about the Australian government’s attempts to make amends for historical injustice to Aboriginal people. 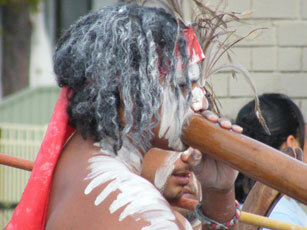 In February 2008, newly elected Prime Minister Kevin Rudd made a historic move in offering a full and unreserved apology for Australia’s historic treatment of Aborigines. But many Western countries have a deep unease about such apologies. Rudd’s predecessor, Prime Minister John Howard, would only describe his “regret,” and in the United States, no president has ever come close to publicly addressing the totality crimes inflicted on Native Americans. Apologies are hard to give when the historical narrative of a nation’s ascendancy entirely sidesteps what happened to its indigenous inhabitants. When Rudd spoke two years ago outside the halls of parliament, a crowd of Aborigines listened — many in tears — displaying what it meant to be recognized. At the time, skeptics argued that Rudd — who refused to make any financial reparations — had made a meaningless apology. Australian prime ministers, like presidents of the United States, have long been promising that their government would finally reverse ill treatment of the indigenous population. However, time and time again, these new dawns have quickly faded. Rudd’s new chapter rests upon a $4.8 billion Close the Gap program, targeting Aboriginal disadvantages from high infant mortality to poor education levels. By almost every socioeconomic indicator, Aboriginal poverty is reminiscent of sub-Saharan Africa. The life expectancy of indigenous people in Australia is 17 years lower than the rest of the population; the rate of infant mortality is twice as high; and, an ethnic group that makes up 2% of the population accounts for 24% of the incarcerated. “Lady, I pay rent to the government for sleeping on a mattress in the desert. I have no home, I don’t have a voice, no one is listening to me or my family,” said a 90 year old Aboriginal elder to Irene Khan, Secretary General of Amnesty International. Rudd’s assessment of his Aboriginal policies two years on largely ignored the second great Indigenous issue: native sovereignty. Unlike in America, where a library of treaties sets out the parameters of tribal sovereignty, Australia has historically made little pretense at recognizing Aboriginal land rights. Australia had legally been a terra nullis, and thus, the first property rights belonged to the settlers. It was not until 1992 that the Supreme Court finally overruled the concept of terra nullis, leaving in its wake a persistent ambiguity over when Aboriginals can claim back land. This is the fundamental problem for indigenous sovereignty the world over. Nations like Australia and the United States were built upon the seizure of indigenous land based upon a legality that cannot be justified in the modern day. Today, with any new chapter for indigenous people invariably involving the return of their lands, how can modern nations redress past injustice — whilst protecting the property interests of the dominant group? There is also little consensus on the issue of whether to follow the American Indian model of communal land ownership or to allow Aboriginals to assume private land rights. The former keeps indigenous community lands together, whilst the latter gives Aborigines that cornerstone of Western society: individual property rights. Another big problem with Prime Minister Rudd’s understanding of indigenous sovereignty is an ongoing Intervention in the Northern Territory, where Aborigines make up 32.5% of the population. Rudd has continued his predecessor’s policy of suspending indigenous rights of self-government in the Northern Territory with the help of a police and military presence. Aborigine communities are banned from having alcohol; the federal government dictates where natives can spend their welfare payments; and parents are heavily punished if their children fail to attend school. This controversial policy was precipitated by a shocking report concerning widespread child abuse among indigenous communities in 2007. Indigenous politicians are outraged, but Rudd faces a dilemma that displays the fundamental paradox of his position. The government feels that it must interfere to deal with desperate problems in indigenous communities, whilst needing to respect Aboriginal sovereignty. Many argue that this is the problem with the entire “Close the Gap” program, as Rudd tries to deliver change from Canberra — as opposed to empowering native communities. The issue with Rudd’s apology is that it is far from clear how Australia can make amends. The daunting task of closing the gap is met with an equally challenging question of how to give Aboriginal governments control of their own lands. Is the intervention a land grab? Very insightful article, thank you. However, it does ignore another consideration. Australia is obligated to take back some radioactive nuclear waste from England, and the Federal government cannot override the States, but can override the Northern Territory. With the “Intervention” continuing, the Rudd government will find it easier to impose a radioactive waste dump on aboriginal land in the Northern Territory. With a bit of luck, Rudd will be able to bribe a few aboriginals, and the whole thing can be done quietly, without much fuss from the ignorant and apathetic “dominant group”. With a bit more luck, a few entrepreneurial types will be able to set up a continuing importing of overseas nuclear wastes as a lucrative Northern Territory business.